Castle Mountain Zeolites commenced operations in September 1991 following the discovery of a substantial deposit of high-grade natural zeolite on the flanks of Castle Mountain some 4km from the rural township of Quirindi. We have achieved a competitive advantage due to the nature and purity of this deposit. Not only is it of uniformly high grade but has the added advantage of being much harder than most overseas deposits, making it much more suitable for applications such as water filtration. Castle Mountain Zeolites already had a good website presence; however the business did not have a social media strategy nor a strategy to help us connect with potentially huge markets in Asia, especially China. We wanted to explore ways to grow sales and connect with our customers. It was an opportunity to explore cost saving technologies, drive innovation and open up new markets. Thanks to the Digital Action Plan provided via Digital IQ we have devised and implemented a bilingual digital strategy to connect with international markets. 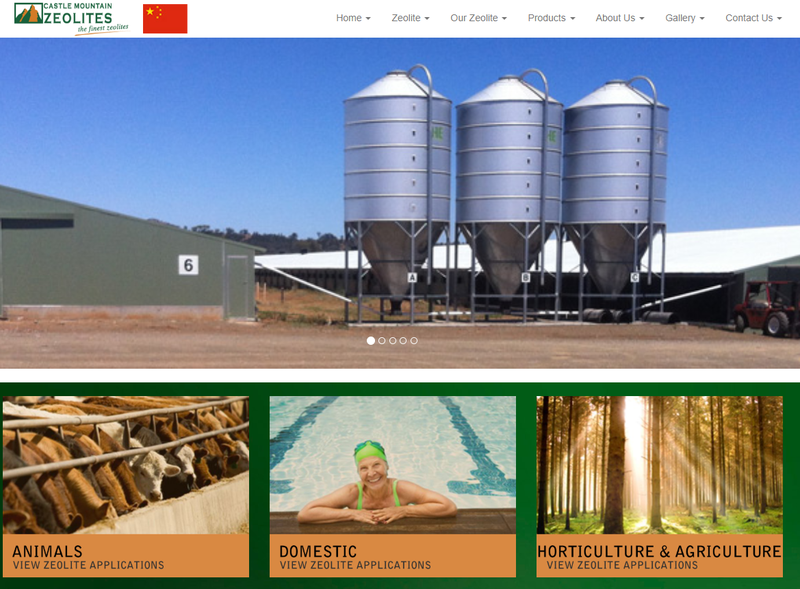 We augmented our existing Australian website with a bilingual micro Chinese website that introduces our products to this exciting new audience.